The Cardinals rank 32nd in the league with 153.1 rushing yards allowed per game. They play the Seahawks in Week 17. The Cardinals have forced two turnovers in the last seven games. They play the Rams in Week 16. The Cardinals have held their last two opponents to just 17 points. They play the Falcons in Week 15. 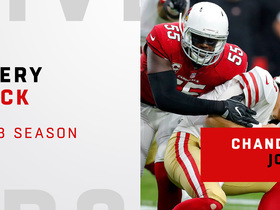 The Cardinals rank third in the league with 38 sacks. They play the Lions in Week 14. The Cardinals have allowed over 107 rushing yards in all but one game this year. They play the Packers in Week 13. The Cardinals failed to force a turnover in the last three games. They play the Chargers in Week 12. The Cardinals kept the Chiefs to their lowest scoring output (26 points) of the season in Week 10. They play the Raiders in Week 11. The Cardinals have allowed 100 rushing yards in seven of eight games. They play the Chiefs in Week 10. 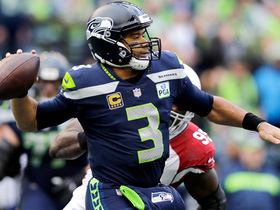 The Cardinals rank 11th in the league with 233.9 passing yards allowed per game. They play the 49ers in Week 8. The Cardinals rank second-worst in the league with 151.2 rushing yards allowed per game. They play the Broncos in Week 7. The Cardinals rank 12th in the league with 248.6 passing yards allowed per game. They'll play the Vikings in Week 6. 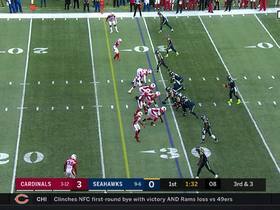 The Cardinals allowed 20 points to the Seahawks in Week 4. They'll play the 49ers in Week 5. The Cardinals allowed just 16 points to the Bears in Week 3. They'll play the Seahawks in Week 4. The Cardinals allowed 34 points to the Rams in Week 2. They will face off with the Bears in Week 3. 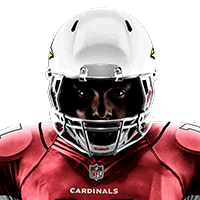 CB Patrick Peterson (ankle) will be ready for Sunday's game against the Seahawks. LB Karlos Dansby (knee) is listed as questionable for Sunday's game against the Giants. SS Budda Baker is dealing with a hamstring injury ahead of Sunday's matchup with the Redskins. CB Patrick Peterson is nursing a hamstring injury ahead of Sunday's game against the Titans. 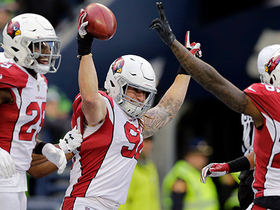 LB Deone Bucannon is dealing with an ankle injury ahead of Sunday's game against the Rams. DT Corey Peters (ankle) is out for Sunday's game against the Jaguars. DT Corey Peters (ankle) didn't practice this week and isn't expected to play Sunday against the Texans. LB Karlos Dansby is nursing finger and hamstring injuries, but he should be ready for Thursday's matchup with the Seahawks. LB Karlos Dansby is nursing a finger injury. 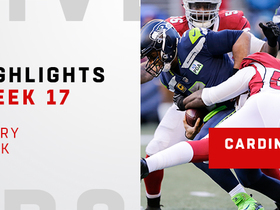 Watch every one of Arizona Cardinals defensive end Chandler Jones' 13 sacks from the 2018 season. Watch Washington Redskins safety D.J. 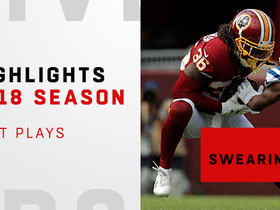 Swearinger's best plays from the 2018 season. 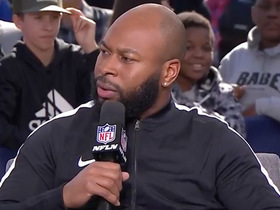 Arizona Cardinals safety Antoine Bethea joins 'Super Bowl LIVE' to discuss Josh Rosen's future success with the team. 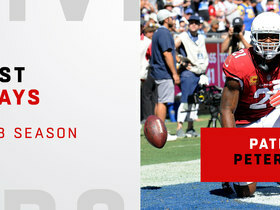 Watch Arizona Cardinals cornerback Patrick Peterson's best plays in the 2018 season. 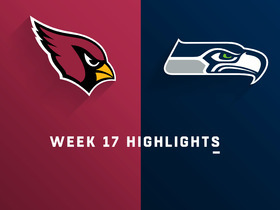 The Arizona Cardinals tallied six sacks in their Week 17 matchup against the Seattle Seahawks. 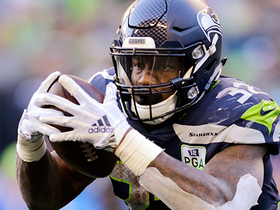 Seattle Seahawks running back Chris Carson makes an impressive 7-yard catch for a first down.